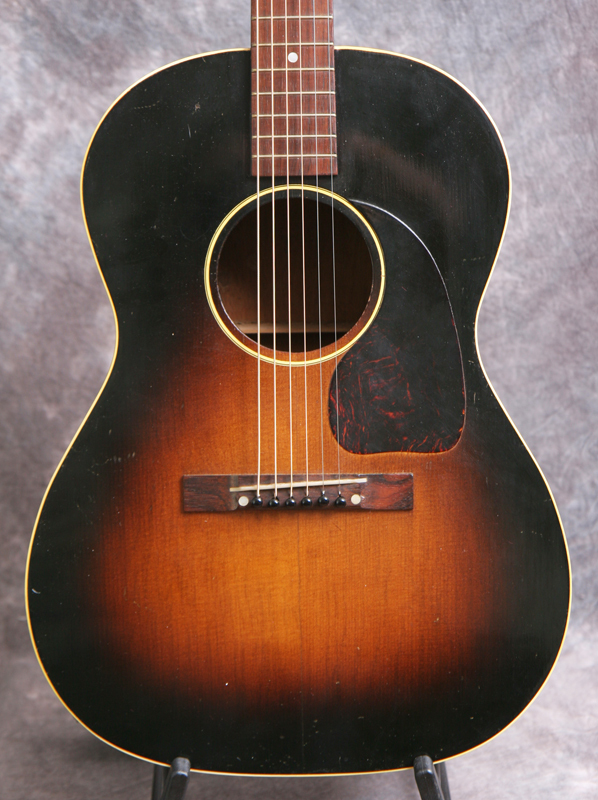 (Serial Number: none) Excellent plus example of Gibson's most popular post war small body flat-top guitar model. Its completly original and collector condition clean. 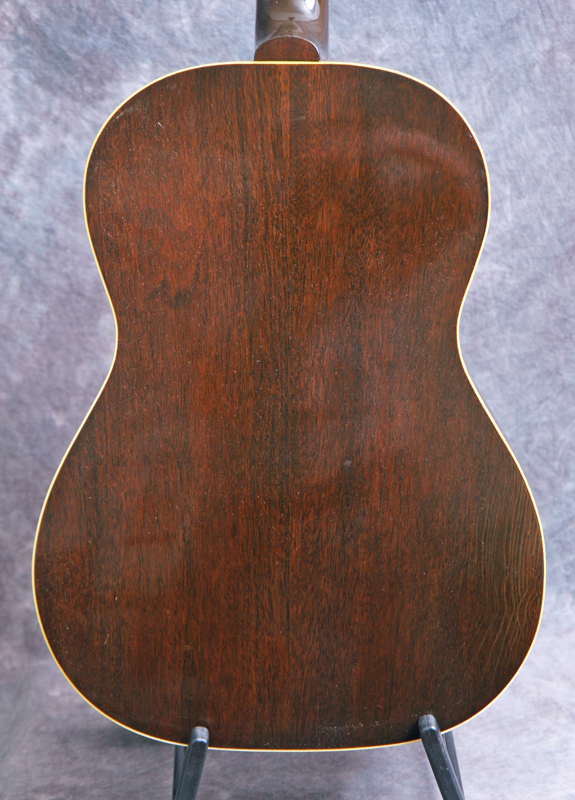 Has the original sunburst top finish and dark back and sides mahogany back and sides and a straight-braced spruce top, the small tortoise pattern teardrop pickguard, tapered headstock, small rectanglular bridge, single bound top and single bound back, and the gold Gibson silkscreened block peghead logo. 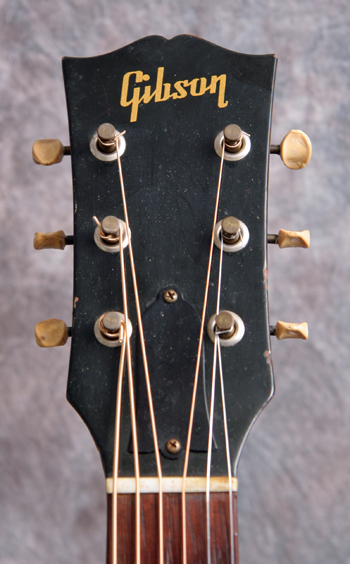 The guitar has no serial number (not uncommon for Gibson in this era) but it has the gold silkscreened logo that began in 1947 and the tapered headstock which was phased out in mid 1950. 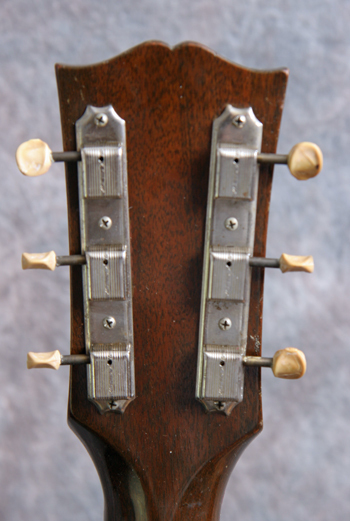 This shows the guitar was built between those dates. 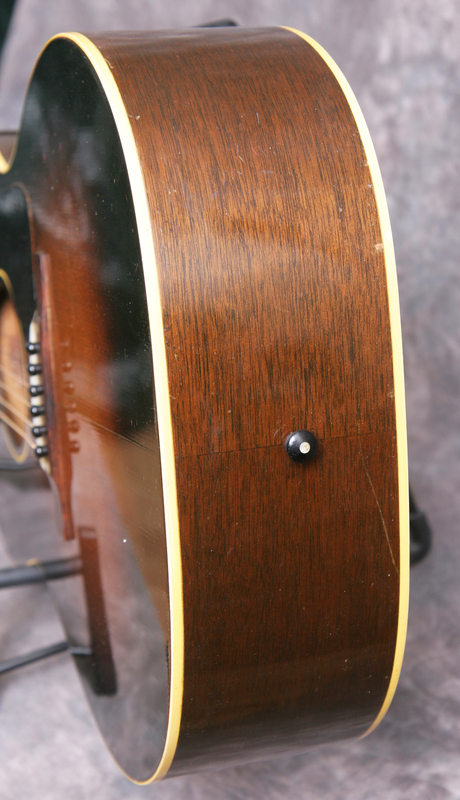 It is an extremely clean guitar that shows almost no use. There are no repairs noted. The ladder bracing is the preferred sound for old time music. Comes with a newer hardshell case, as the original cardboard case just fell apart. Click the picture for a very large high resolution pic. Use your back browser button to return.